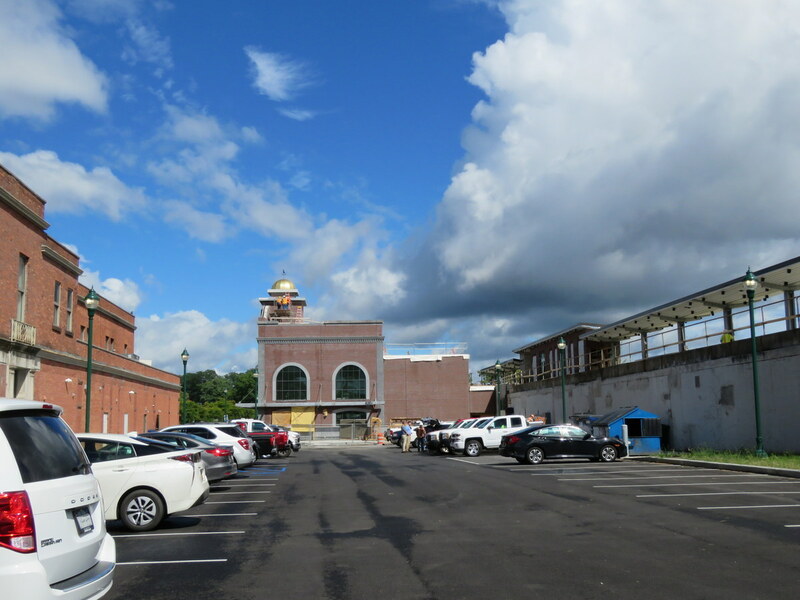 . . update: see our Coverage of the Station Opening. 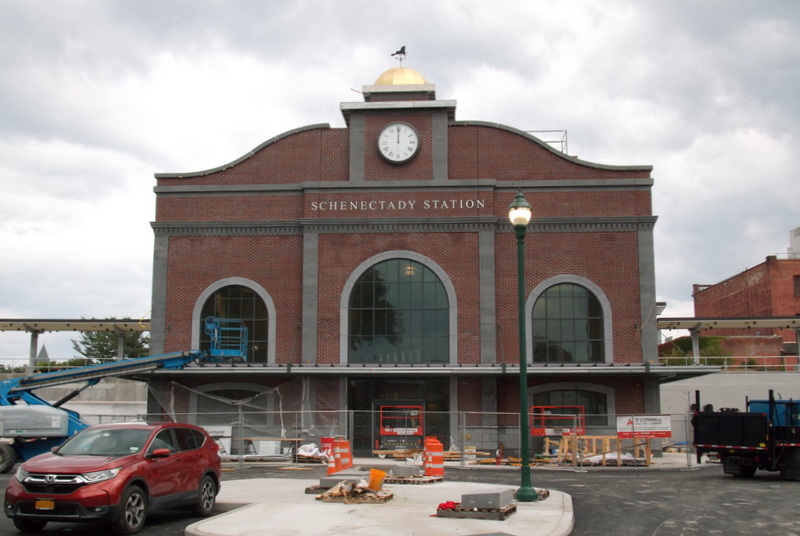 (October 17, 2018) (11:30 AM) The Schenectady Train Station was indeed officially opened this morning, in a ceremony attended by Lt. Gov. 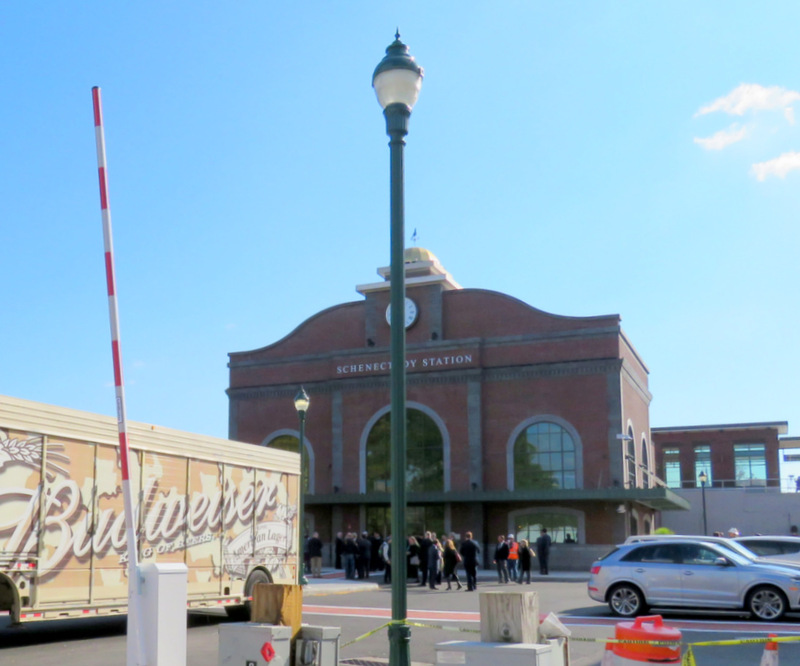 Nancy Hochul, U.S. Rep. Paul Tonko, Mayor Gary McCarthy and many other local and state officials. 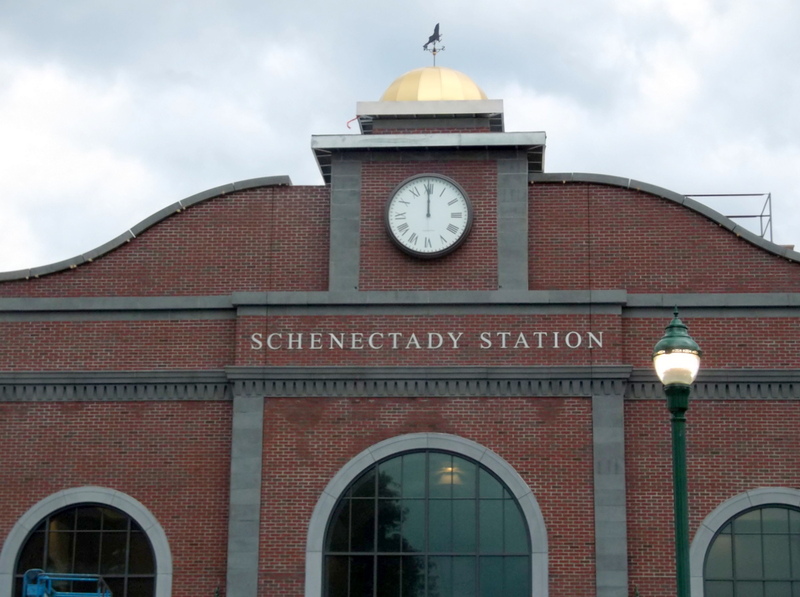 See “Schenectady train station officially opens” (Daily Gazette, by Andrew Beam & Steven Cook, Oct. 17. 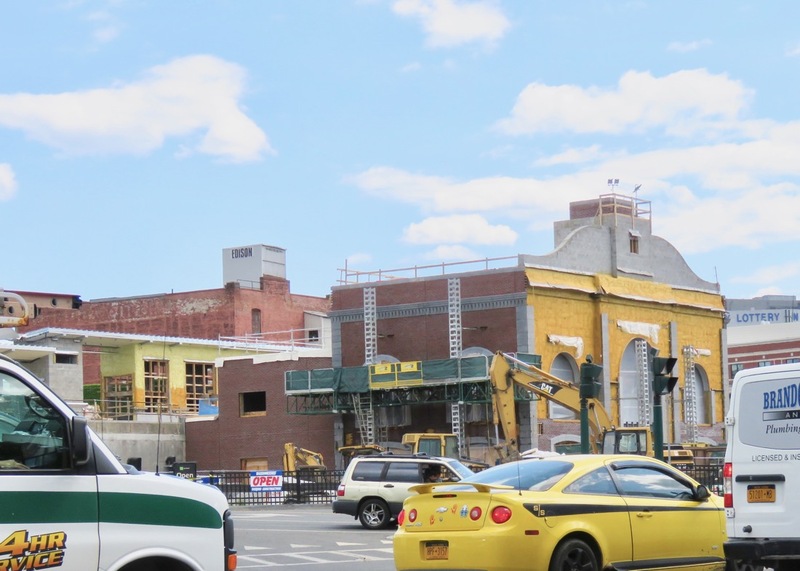 2018). 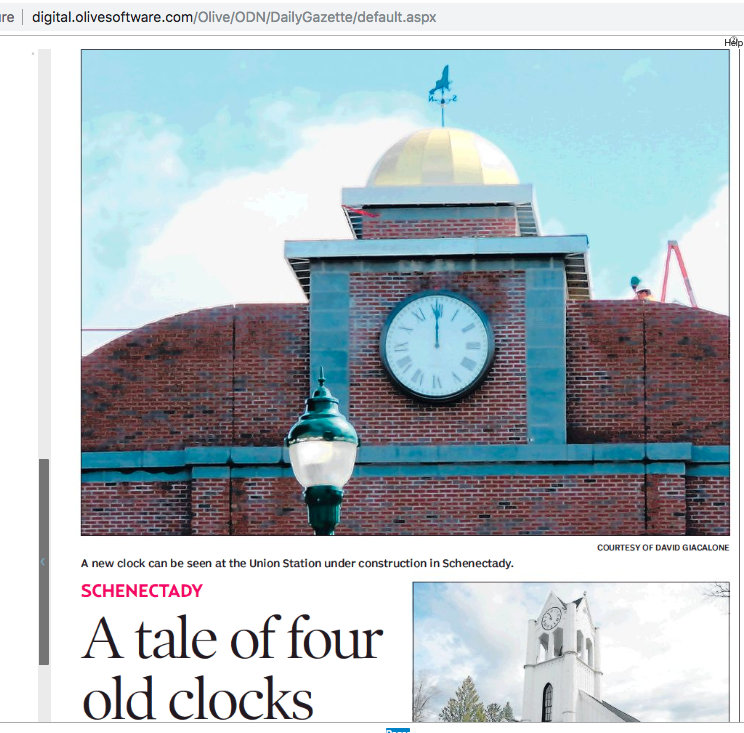 Thank you, Gazette, for using the above photo in the article “Schenectady’s Train station’s clocks (old and new) have their own story to tell (Daily Gazette, Sept. 26, 2018, by Bill Buell). 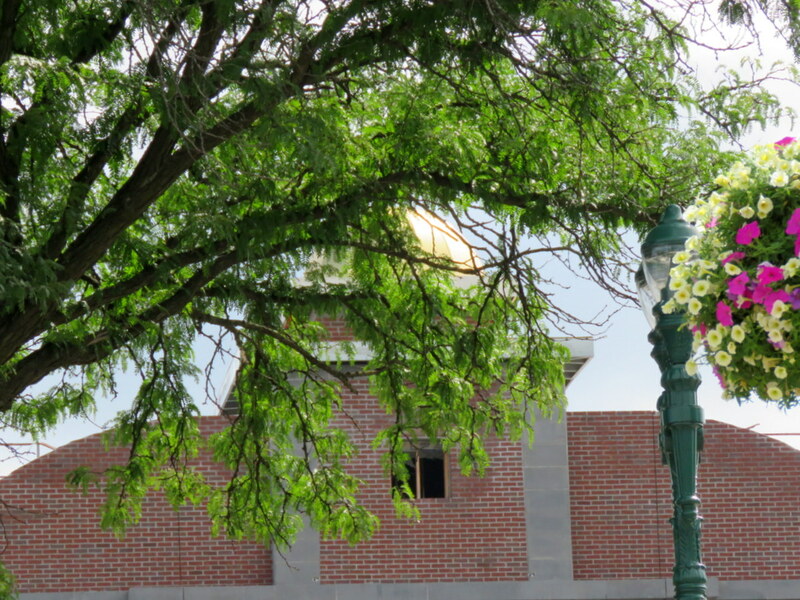 . . [L] view from State Street. 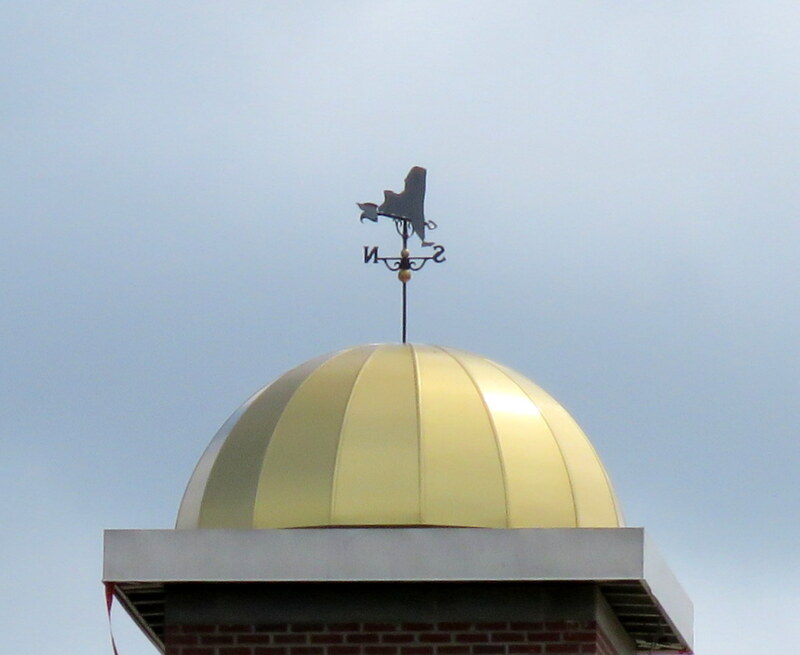 . . original posting, Sept. 13, 2018 . . 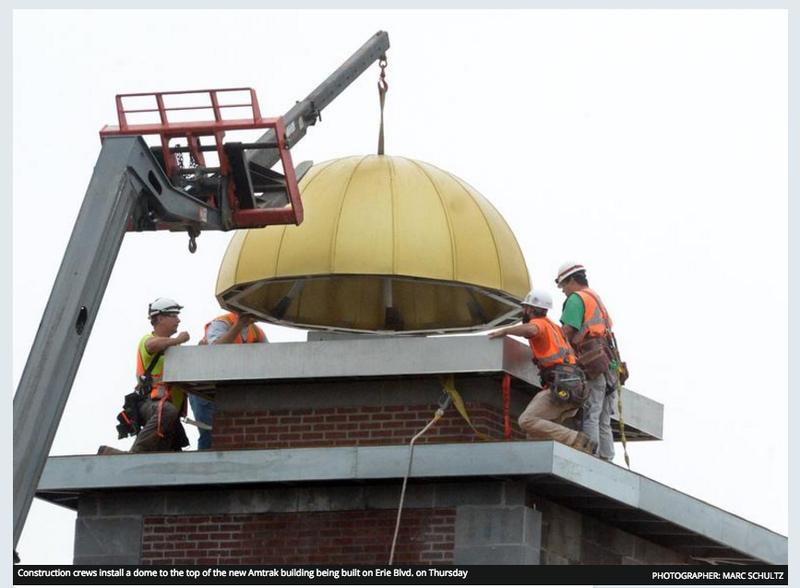 This morning, Schenectady’s new Amtrak station got its gold dome. 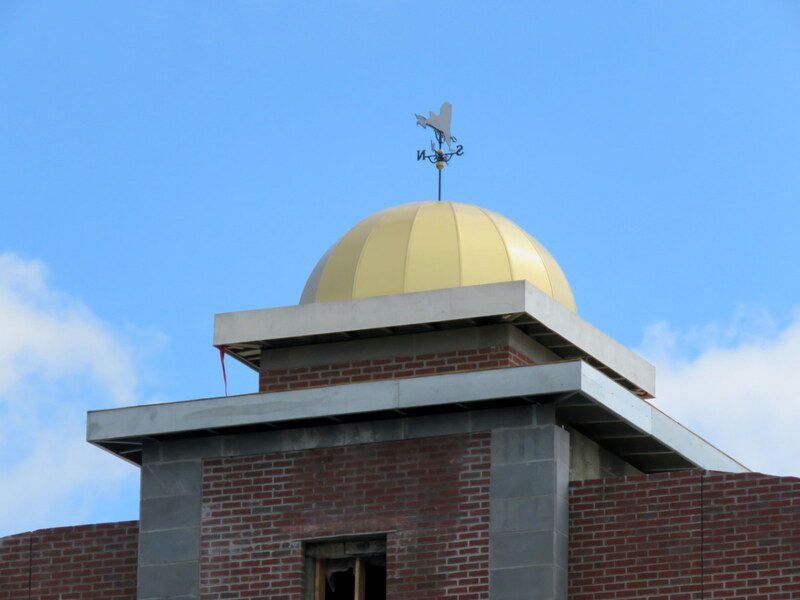 Though gold-colored, the dome is not actually made of gold. 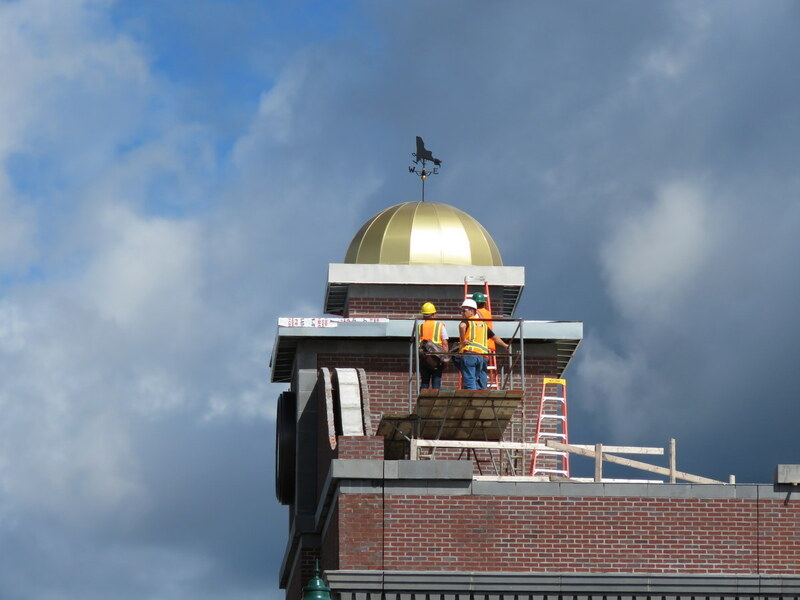 It’s a combination of elements applied to the structure resulted in the gold coloring, state officials say. 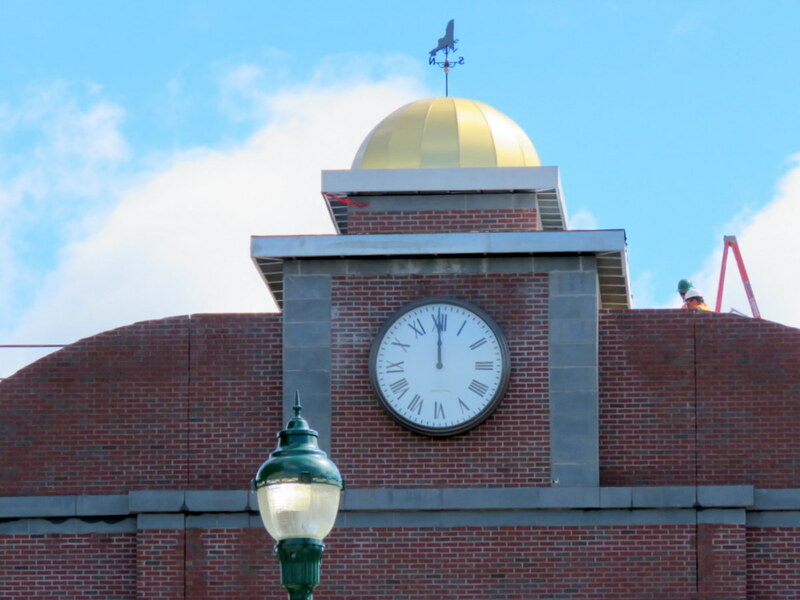 It gets its color through a process that created a durable, corrosion-resistant coating. 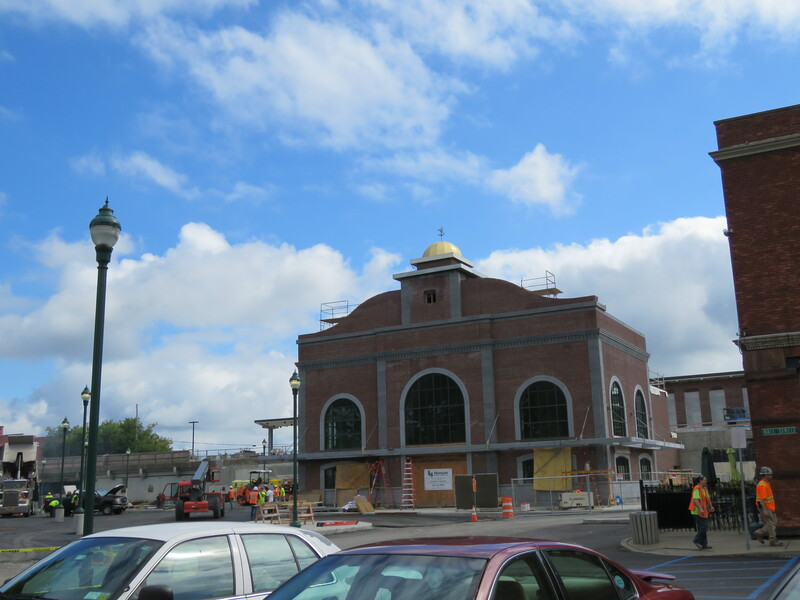 Plattsburgh-based Murnane Building Contractors is building the train station. 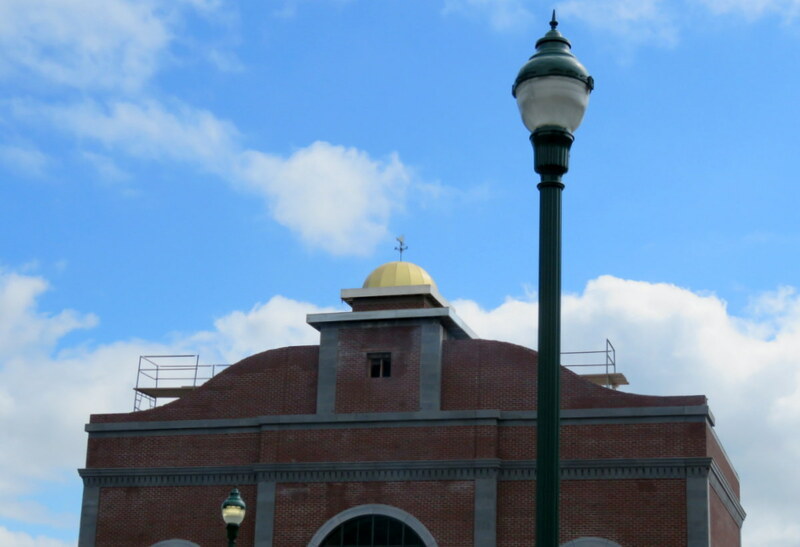 For more pictures of the progress over this year of the new train station project, go here.
. . . By the Way, this is what the Old Union Station looked like. 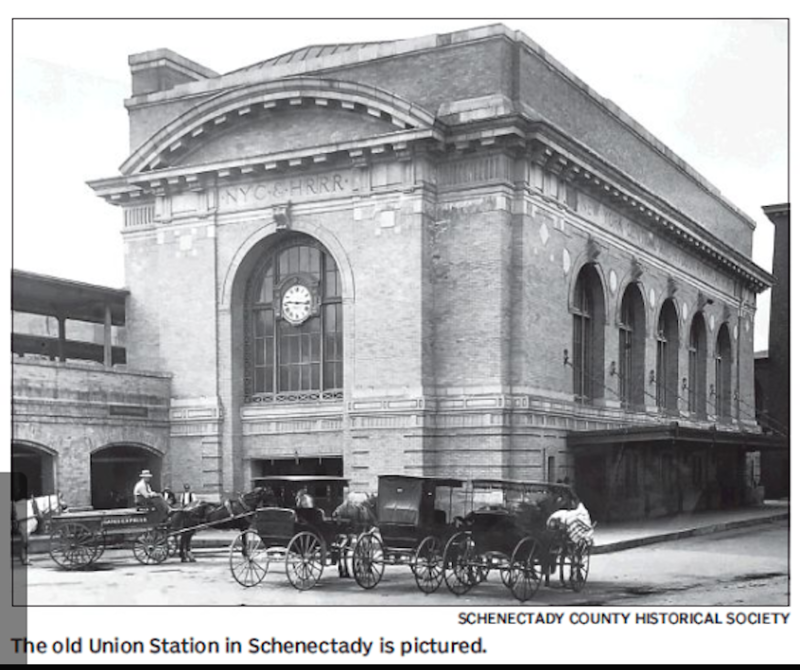 It was demolished in 1969.